Two weeks into 2013 and I have already failed with one of my New Year's resolutions - to blog once a week ( I thought surely I can take 20 minutes out of my week to write, but alas it seems so far ....no). As one can see it is a new year and I want to take the time to highlight some of my highlights of 2012. 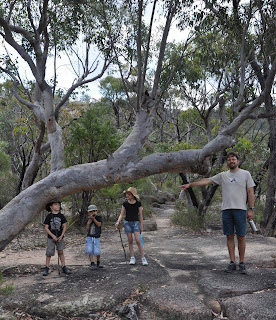 Our biggest highlight of the year was our road trip to Adelaide. We got to see some amazing parts of our country. This is an sunset shot taken from the sculpture park outside Broken Hill, this is an amazing place that is well worth a visit. 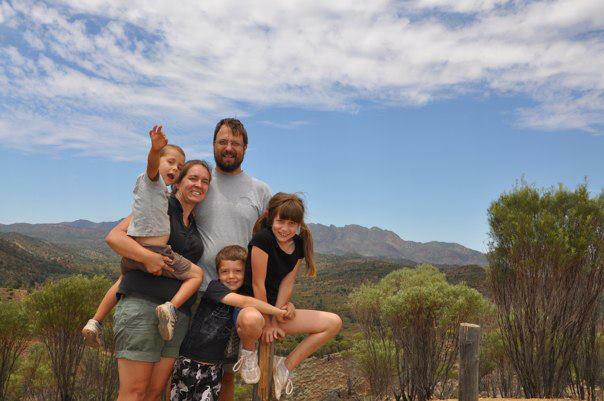 Here we are from one of the lookouts in the Flinders Ranges. 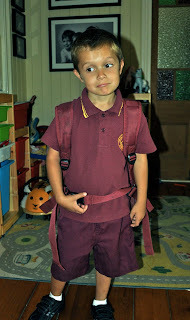 The next highlight was Oscar starting school. Here in Queensland, children start school when they are 41/2 or 5. So Oscar had reached that magical age. A month after Oscar started school, I started University. 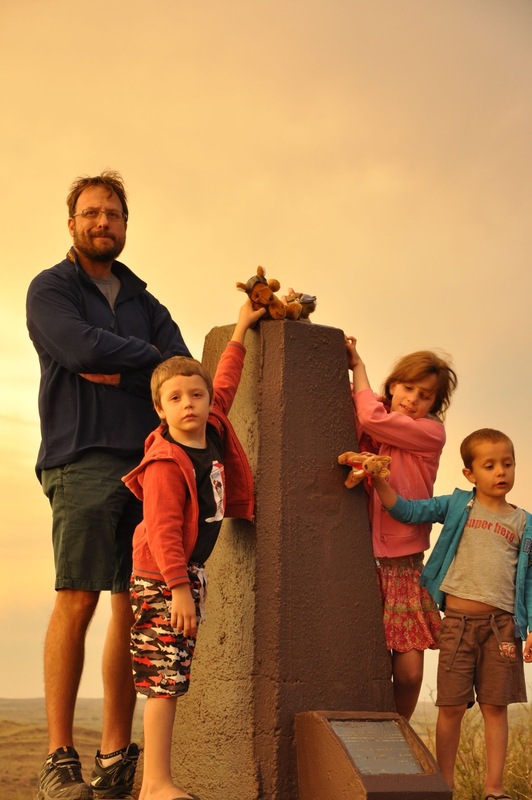 I ventured on a four year journey studying a Bachelor of Education. It was an amazing year, I loved what I was studying and learnt so much. I made some wonderfully supportive friends who made the tough times during the year much easier. 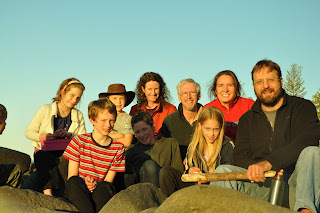 Mid year saw us going on another a road trip. 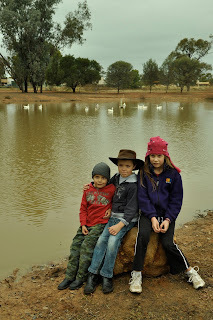 This time we headed out to Charleville in Western Queensland. 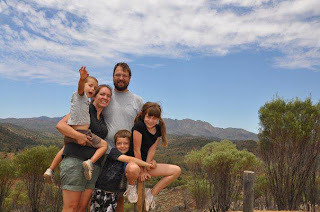 Our last road trip gave us a taste for the Australian outback. Charleville is the home of the Bilby (a small marsupial that looks a bit like a kangaroo crossed with a rat). So it was a must for our animal loving daughter. We also visited the observatory, the weather station, the flying doctors and took a trip down memory lane when we saw the aircraft hangar that Anthony's grandfather help to build in the war. As soon as we got home we went down to the Gold coast to catch up with some old friends, whom we have not seen for some time. It is always times like this that make these long friendships even more precious. 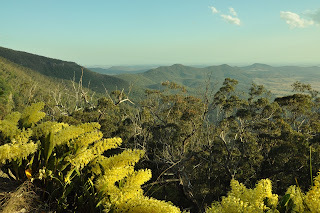 The September school holidays saw us heading to the Bunya Mountains, about 3 hours west of Brisbane. 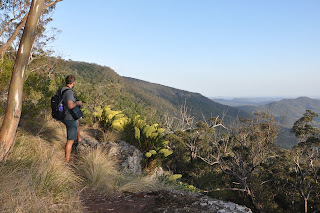 I did not go up for a few days after the family went as I had assessment due, but when I got up there it was awesome to be in the outdoors again. Anthony and I went for a walk and we came across this amazing bank of king orchids in bloom - aren't they spectacular? 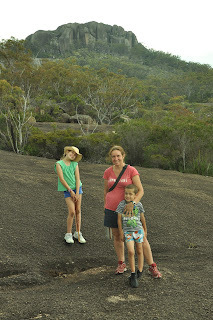 My final highlight is the one we do every year, camping at Girraween National Park. This year we went by ourselves rather than with Anthony's parents. Now the children are able to walk a few more kilometres we are able to get out there and explore this beautiful area a bit more. Anthony had his photo taken under this tree when he was a child, so the family tradition continues. So basically that is a snapshot of my adventures over 2012. I eagerly await whatever adventures 2013 may bring. I will try my hardest to live up to my New Years resolution but I know that may be harder to do than I think.